Teachers and school counselors, Principal Danny Garcia, Department of Education (Art Souza and Esther Hughes) and community leaders, parents and children all from the North and South Kohala district of Hawaii. Special thanks to partners Hawaii Preparatory Academy (Susie Jones) and Parker School (Donna Rohr). Wellness Through Movement® began in January of 2005 when an innovative elementary school, Hawaii Preparatory Academy (HPA), became interested in the neuromuscular components of physical education. Ms. Catherine Rosasco Mitchell, *kinesthesia educator, and Feldenkrais Practitioner met with HPA’s physical education teacher, Susie Jones, and to brainstorm about a program. Together with parents, principals, community leaders, and colleagues throughout eight years the Wellness Through Movement program was born and developed. 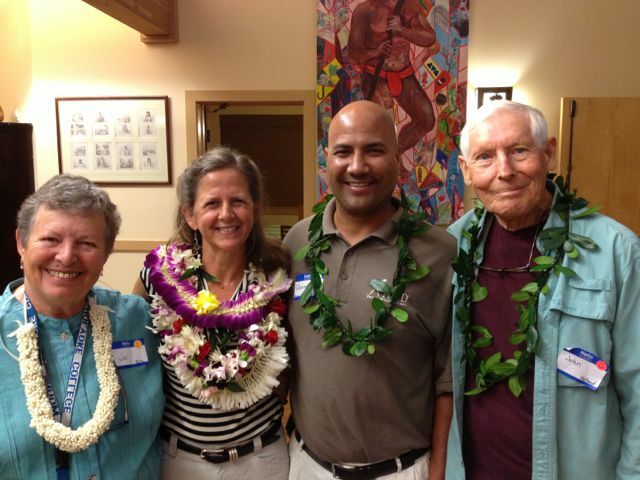 Teaming together, Jo Piltz, executive editor, Catherine Rosasco-Mitchell, Feldenkrais Practitioner, John Holland, Waimea Writers Group, and Danny Garcia, Principal of Kohala Elementary helped find the language and program to bridge this philosophy of movement as cognition into daily school activities and community culture. Ms. Susie Jones, the physical education instructor, was the “fun” advisor, WTM Board of Advisors helped integrate Department of Education requirements in physical education and health standards. Parents, teachers and school administrators shared their needs and challenges with the children at home and in the classroom. 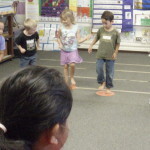 Donna Rohr, drama and movement teacher, tested and edited lesson plans at Parker Elementary School in Kamuela, Hawaii. Catherine Rosasco-Mitchell walked the program through from conception to implementation and is now reaching out to researchers to pass the findings to advance science. 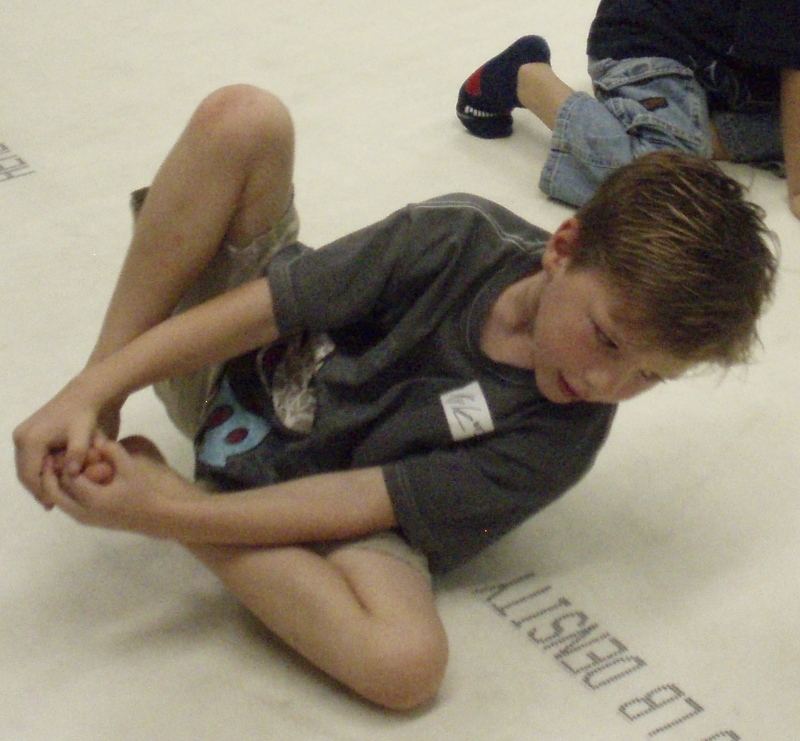 The three-part Wellness Through Movement series uses the understandings of Moshe Feldenkrais’s method, Awareness Through Movement®, to re-educate behavioral patterns that form perception through developmental movements. The Part I A New SENSORY Self Awareness, are the foundational tools used in every movement lesson to help people feel the experience of somatic awareness. The curriculum builds of researchers understandings of physics, neuroscience, and the Feldenkrais Method. Lessons are meant to be used in sequences to teach organically, from-the-body-to-the-brain with the intention to address three areas: 1. Physical: strength, coordination, and align posture 2. Integrity: courage, respect, and trust 3. Conscious Awareness of proprioceptive sensation. The trinity, physical, integrity, and conscious awareness birth enthusiasm, self-direction, creativity, and responsibility of the self, each other, and the environment. After a crippling illness at the age of twenty-one, Ms. Mitchell started researching the connections of mind and body to health. 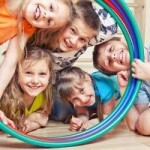 Using work for Moshe Feldenkrais (associate of Einstein) and cutting-edge research in the fields of movement, cognition, child development, and sensorimotor functioning she put together a physical education program for children. She trained in Yoga Ed, Brain Gym, and SPARK to see if such a program or ideas of movement existed. The program was tested for eight years and developed for thirteen. She presented at international and national conferences including Movement and Cognition, Movementis, the Society for Research in Child Development (SRCD) and American Association of Health, Physical Education and Dance (AAPERD), and to tens of thousands of people ages of 2 days to 97 years of age in private and group lessons and workshops. Wellness Through Movement method evaluates cognitive functioning by observing motion. Unlike exercise to workout, increase aerobics, and strengthen muscles movement is used to ALSO improve awareness inside the body and its relationship to attitude. Lessons implement an internal-external attention into the movement lesson to feel the link between the physical sensation, motion, and behavior. Scientifically designed movement sequences use the sense of proprioception to increase self-awareness. In other words, the feeling of the body becomes the feeling of the brain, perception, character, and relationship with others. Understanding comes from experience. Movements give that experience. 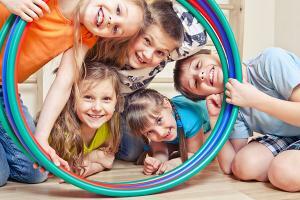 Lessons encompass the eighteen (or more) senses in the motion of developmental movements. The nature of these senses, regardless of condition, wants to learn. The methodology of learning is not to teach are right or wrong movement, but to sense the uniqueness of the individual behavioral patterns. Strategies are easy to implement with any physical movement programs, teaching style, or lesson plan. The Part II of Wellness Through Movement program (not published yet) are customized movement lessons designed to utilize the innate nature of how the brain learns from motion. The lessons organically grow, just as developmental movements are interconnected, to ensure easy and sustainable results from a biological standpoint. See below for lesson examples or book A New SENSORY Self Awareness. “No Place Like Home” lesson (Part 1 series) uses the virtue of respect and teaches dual attention (internal and external). The sensation of the body is used to clarify direction of attention with “breath” and “sound.” With attention inward not to external relations perception and adaptation shifts. The sense of centering oneself through physical sensation helps children find peace within the storm of conflict. 2. Personal Bubbles Freeze Dance (Part 1 series) creates a “storm” of excitement with big beat music. 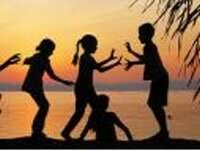 When the children bump into or touch each other the music freezes and attention is turned from “out there” to inside with the “home breath.” Attention follows the physical vibration of humming “hooooommmmme.” The vibration of the sound gives attention a physical directive into the body. The attention follows the movement vibration of sound and breath into the physical centers of the body, calming both mind/body. More attention is now inside then to the external environment. Children return to the game playing now with “Home” and no one bumps, the music plays on and children are asked what changed? 3. “Panda Bear Bowling I” game (Part II series) integrates a. following directions, b. sensing balance and coordination, and c. inspiring courage and risk taking. The core torso to the pelvis are reeducated to sense of strength and stability . This sensation foundational to the sense of courage explores sense of position, space and timing. • Does the child demonstrate more patience, calmness and cooperation? • Does the child resort to the body techniques to calm the mind? • Does the child feel more balanced emotionally and physically? • Is the child more innovative in problem solving? • Have the child’s attention and participation improved? • Have the child’s test scores and academic performance improved? ▪ Basic locomotor skills alone, with a partner and in small groups e.g. hopping, skipping, jumping, running.